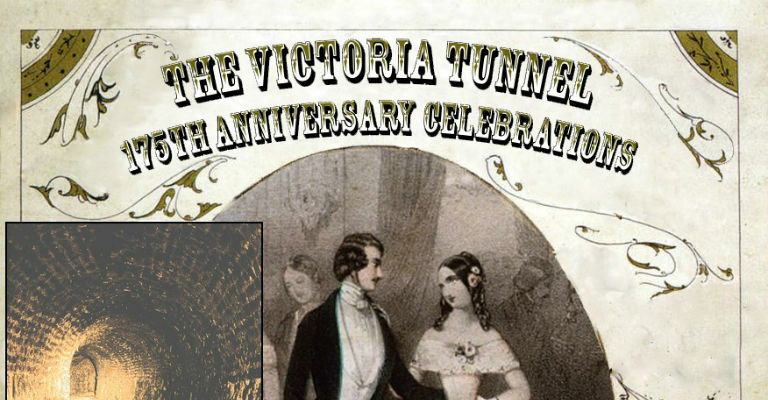 On 7th April 1842, a huge party was held at Newcastle Assembly Rooms to celebrate the opening of the city’s Victoria Tunnel. Flash forward 175 years and the Volunteer Tunnel Guides are on hand to celebrate a historic birthday for the site! Another grand party is being held at the Assembly Rooms to mark the anniversary and everyone is invited to attend! The Tunnel, which runs beneath the city from the Town Moor down to the Tyne, was built to transport coal from Leazes Main Colliery to the riverside jetties, ready for loading onto ships. Later, in 1939, it was converted into an air raid shelter to protect hundreds of Geordies during the Second World War. A programme of repairs started in 2007, and the Tunnel is now open to the public. That extraordinary history will be celebrated at the anniversary party where, just like in 1842, the Lord Mayor and High Sheriff will be on hand to celebrate the incredible feat of engineering. From 7pm there’s set to be Victorian Music Hall entertainment and a special performance of the Spital Tongues Tunnel song, written in 1842 by Tyneside bard Robert (Bobby) Nunn. The organisers are encouraging you to wear Victorian dress, but if you can’t quite make it into a corset or find your cummerbund then don’t worry, modern clothing is also acceptable! Tickets for the event are £30, with the option to buy individual tickets or for a whole table of 10 guests. The event can also be supported by buying a ticket for the Grand Raffle, which will be drawn at the Party itself. Ten luxury prizes have been donated by local sponsors, and raffle tickets are available from the Ouseburn Trust office (53-55 Lime Street, Newcastle). To find out more or book tickets, visit the Ouseburn Trust website.